For more information on registration and the Mountain Moonshine Festival please click the button below. ﻿See the parade of moonshine and revenue cars to kick off festivities at 9:00 Saturday morning. Moonshine Run on Friday, October 26th, leaving Bearden Funeral Home at approximately 10:00 AM on Friday, registration to begin at 9:00 AM. Meet many legendary race car drivers. See Vintage Race Cars and more Authentic Moonshine-Hauling cars than you’ll ever see gathered in one place anywhere in the US! Purchase festival souvenirs such as t-shirts, caps & refrigerator magnets. RV parking will be available at the Dawson County BOE Community Center and Hauler parking will be in a designated area only, see car show map for location. Please see a KARE representative for assistance. Help out with a very worthy cause, KARE for Kids, ﻿Inc. We kindly ask that you leave your pet at home. 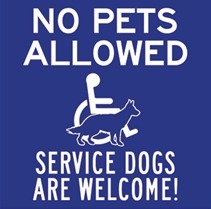 Our streets are paved and there is no location for pets to go to the bathroom. We thank you for your cooperation.